Swimming pool in the country or their own site - the dreammany owners. But buy it or mount it is only half the battle. The aqueous medium magnet attracts every gnat, is the dwelling place for bacteria. The wind adds a "Aesthetics", put to sleep the water surface leaves, dust particles and various debris. And if not for constant care of the pool, then eventually it will turn into overgrown with duckweed pond or smelly swamp, where one will be glad to swim toad. The first signal to the cleaning - the color of water. In any type of pool (inflatable, stationary, etc. ), The water should be transparent. As soon as you notice a greenish or milky, you should know that the pool is already contaminated. In a manner of physical purification. Physical care of the water in the pool begins withthe fact that different devices (nets, a special vacuum cleaner and so on.) from the surface of the water is removed all the garbage deposited. But in this case it can be removed only from visible particulate matter. All that is not seen by the human eye, is to remove a filter. Important! Whatever filter you may have bought the pump it is necessary to include at least 6 hours. Otherwise, cleaning quality is not achieved. Sand filter is cheaper than other types,because the water filter inside the machine carries out the quartz sand. Through this filter passes contaminated water, debris and particles remain in the silica layer. Despite the availability, price, this filter is nottoo much in demand, because it requires a weekly cleaning. To clean it, it is necessary to substitute the device under a stream of clean water, which "sweep" all that had accumulated inside. Cottagers who have no running water, provide such flushing will be difficult. In addition, sand cleaning system is low quality. It settle only particles larger than 20 microns. Smaller rubbish remains in the water. Such filters are recommended only for small inflatable pools in which the water is changed frequently. 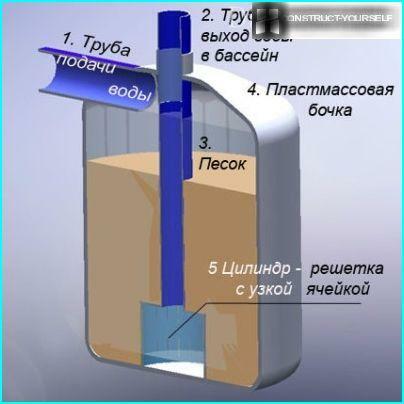 In this cleaning system involves severalcartridge disposed within the housing. They are able to remove particles from the water to 10 microns. 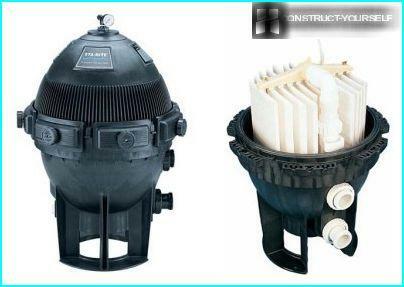 The cost of such a filter is higher than the sand, but it requires less maintenance, and better cleans the pool. To wash them periodically cartridges substituted under the pressure of clean water. It is more convenient, of course, use disposable cartridges that are thrown after clogging, replace with new ones. Dear newly emerging variantsfiltration. In these devices cleaning takes place with the help of diatomaceous earth (so-called crushed shells of plankton). Such filters ensure the highest level of purification by removing particles down to 3 microns. But the negative of such systems is that diatomaceous earth very quickly "clogged" and even backwashing can not restore its capacity. We have to change the cartridge that is enough expensive for a few times a year. Chemical products for swimming pool maintenanceaimed at combating various forms of pollution, and for high-quality cleaning is necessary to buy a set of medicines. Here's how to clean the swimming pool complex. So, to deal with the bacteria you have to buy a composition in which one component is active oxygen, chlorine or bromine. The cheapest, but with a specific smell - chlorine drug. He can provoke allergic reactions. At the level of bromine disinfection is not worse, but there is no smell. However, the price is more expensive. The most expensive, but safe - oxygen. It kills bacteria by almost 100%, without harming either the water or the man. In addition to bacteria, the problem of home poolsThey are algae. They are developing so fast that they are fighting with them periodically and continuously, as soon as the tank is filled with water. 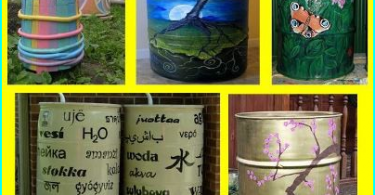 By purchasing and heaped special preparations, you will save on the bowl wall greening, and the bottom - from siltation. Preparations for the removal of particles less than 3 microns must complete the work begun by filters, destroying the fat, protein molecules. Such substances are called flocculants. The latter problem is chemical treatment -normalization of balance pH. For a person needs water balance in 7-7,4. 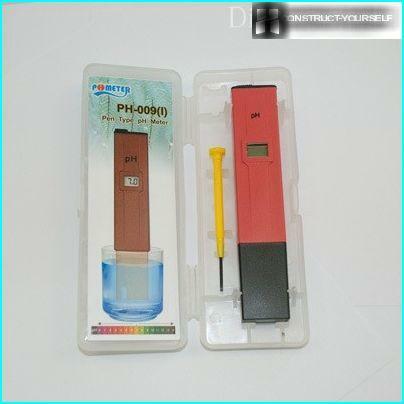 To know it, it is necessary to have a special meter - pH meter. If the acid-alkaline balance above provisions of numbers - pour drugs to lower pH, if it is below - use the opposite action of the compositions. The newest method of treatment, which does not needchemicals - Electrophysics. The group of devices includes UV lamps, ozone generators and devices that produce copper and silver ions. Each of the devices eliminates certain type of pollution, and together they provide the maximum degree of water purification. cleaning sludge from the bottom of the bowl. (The shop has a different means than a clean pool of sludge, but it is best to find a bottom vacuum cleaner or a special set). 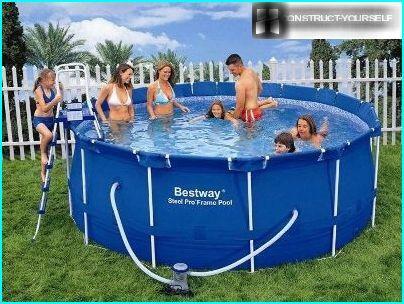 For most children acquire inflatablepools. To maintain the purity of it should be cleaned on a weekly basis from the water completely and scrape the slime sediment. If the volume of a large bowl, add the recommended disinfectants, because the pool filled with fresh water quite expensive every week. Children under 3 years of water changed daily! 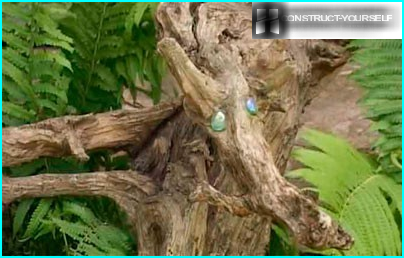 Maintain the cleanliness of the pool is easier than trying to restore overgrown and covered with sediment bowl.